We want lunch to be a great experience. It’s a time to take a break from the work day. At Coach’s Pizza we understand that you don’t want to break the back on lunch, which is why we offer great lunch specials starting at $4. 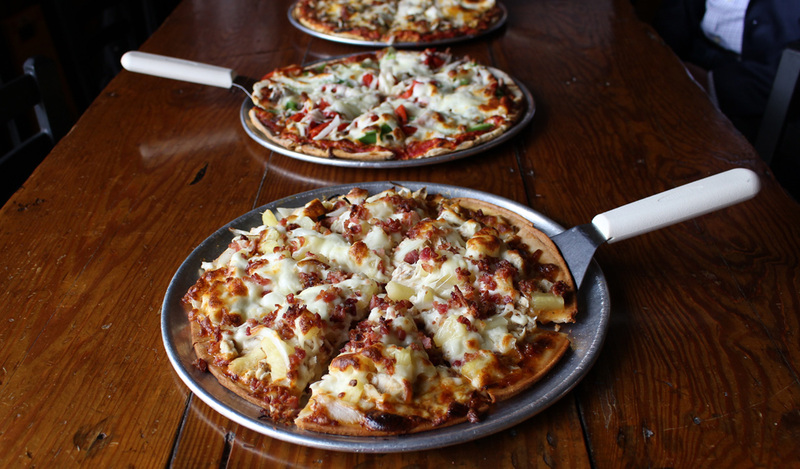 Our promise to you is to always make great pizza and food! We keep our promise each day by using only the freshest ingredients – No substitutes, nothing frozen. Ask for a gluten-free crust for any pizza. Eating gluten-free can present a challenge. You may need to give up gluten, but that doesn’t mean you need to give up pizza. Our solution, gluten-free crust is available for any pizza! That’s right. Any pizza.